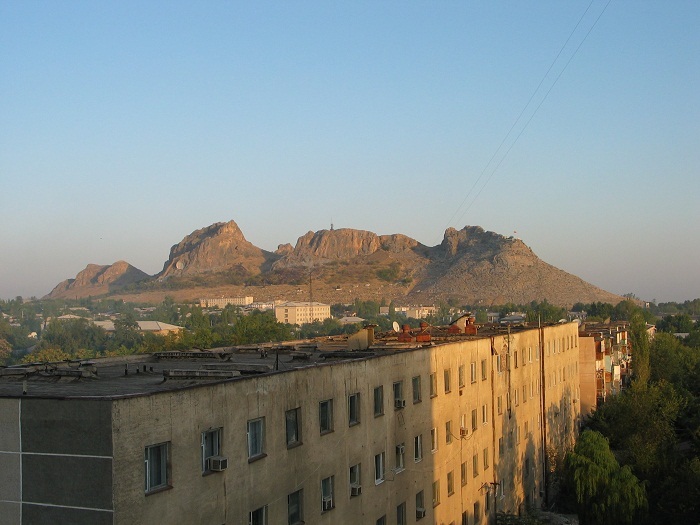 Sulayman Mountain, which also goes by the name Sulaiman-Too, is a mammoth craggy rock that is a major landmark located in the city of Osh, in the Kyrgyz Republic. 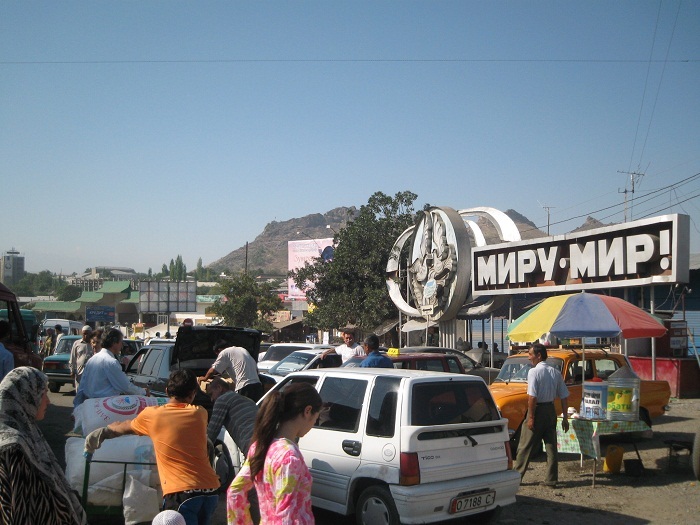 As it is the first object in Kyrgyzstan which have become a UNESCO World Heritage Site, it had once a great importance for the Muslim and pre-Muslim pilgrims. 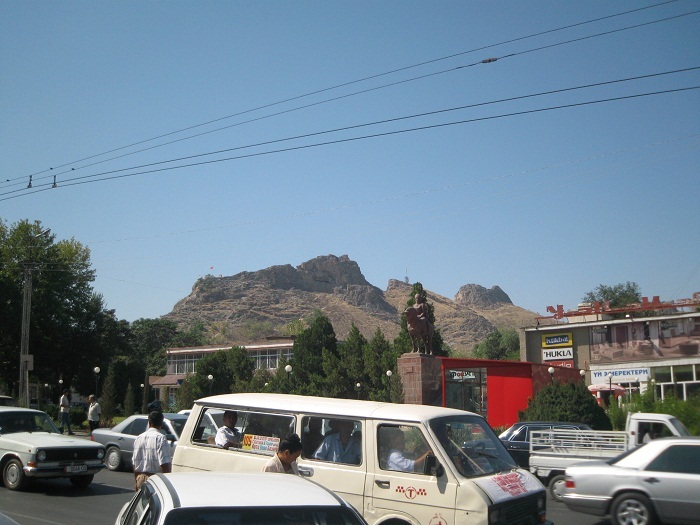 That is why for more than one and a half millennia, Sulayman was a beacon for travelers revered as a sacred mountain, where its five peaks and slopes contain numerous ancient places of worship and caves with petroglyphs as well as two largely reconstructed 16 century mosques. 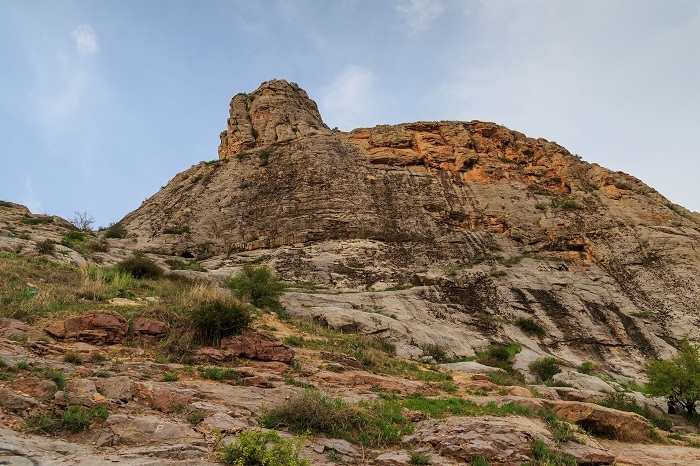 There are also remains of the medieval bath in the eastern part of the mountain dating back from 11-14 century and the mausoleum of Asaf-ibn-Burhia in the south-east of the mountain dating back from 18 century. To get to the top of the mountain, there are stairs that lead to the mosque which sits near the top, built by Babur who was the founder of India’s Mogul Dynasty. 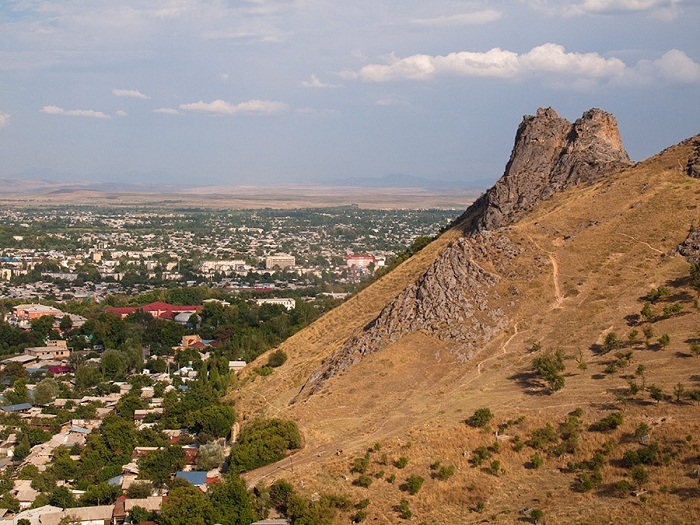 Still, from the top the mountain can offer spectacular views of the Fergana Valley, as well as the city of Osh. 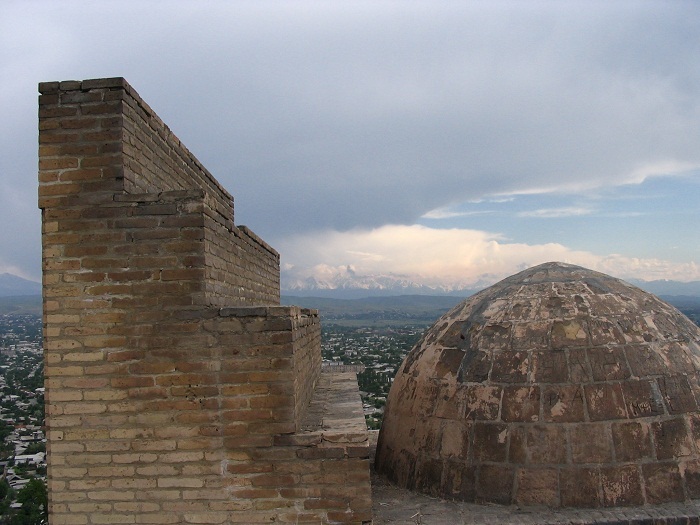 Being on the UNESCO World Heritage List since 2009, it is said that it is the most complete example of a sacred mountain anywhere in Central Asia, worshiped over several millennia, which makes it very attractive for the visitors of this small Central Asian country. 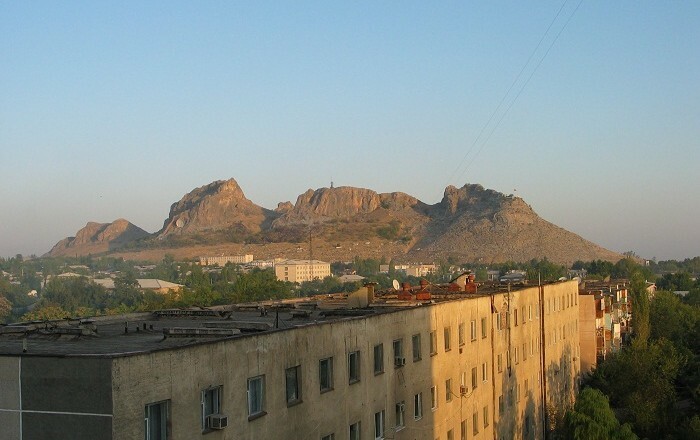 In addition, on the mountain is also located the National Historical and Archaeological Museum Complex Sulayman, established in 1949 as Osh Regional Museum. 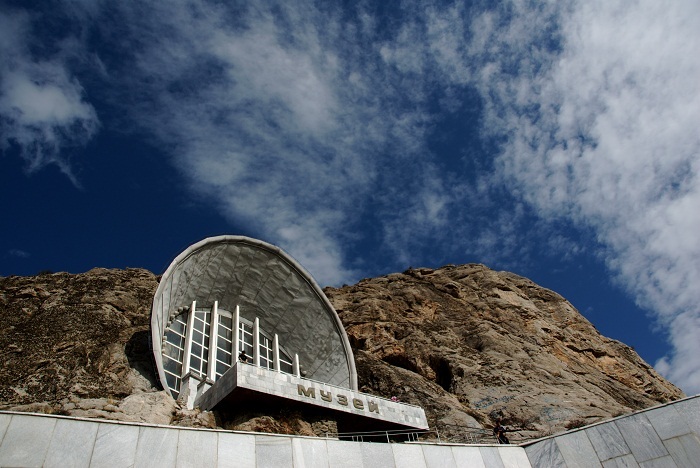 The present museum building has been carved within the mountain in 1978 to celebrate the 3,000 anniversary of the city of Osh. 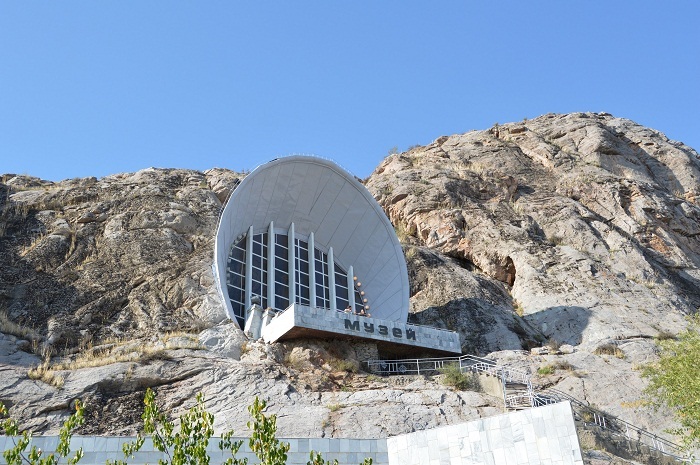 This glassed concrete arch is one of the largest museums in Kyrgyzstan, where the collections include more than 33,000 pieces of archaeological and ethnographic artifacts, works of handicraft, paintings, sculptures and graphics. If not for the mountain, one can definitely find something interesting within the museum.